Much as I love the warmer weather, there is one element that I could really do without: what I euphemistically refer to as ‘defuzzing’, but could more realistically be termed ‘deforesting’. Waxing, shaving, hair removal creams, I’ve tried them all and can never seem to fall into a routine whereby, when I want to get my pins out, they’re smooth , fuzz free and ready to meet their public. Enter Urbana, a spot I last visited before my wedding for a two-week pedicure and my first lash extensions. They don’t do anything of that nature now: they are entirely dedicated to hair removal, specifically laser and waxing (which nicely illustrates the popularity of these services). 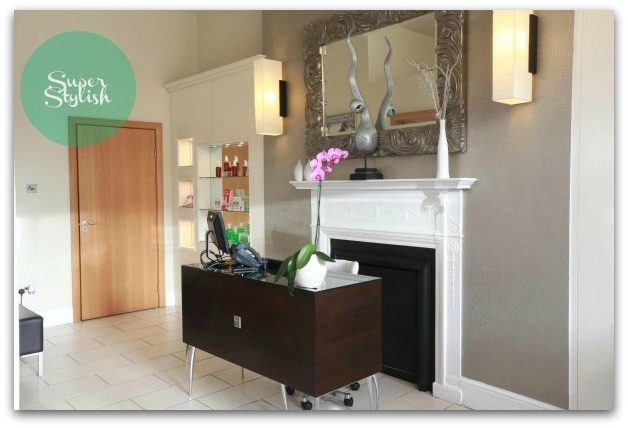 It’s a lovely clinic – located just across from the side entrance to Brown Thomas (a dangerous spot for a post-laser pick me up! ), it’s bright and clean, full of the latest equipment and friendly, reassuringly professional staff. I’ve had one session so far: six are recommended, at six week intervals, and my second appointment draws close, so I’ve had plenty of time to evaluate and consider whether I think it’s worth splashing your cash. The answer? A resounding hell, yeah! Already, in one appointment, I have seen at least a 50% reduction in growth which makes it so much easier to keep my legs out throughout the warmer weather. Stubble is minimised and barely noticeable – with a very quick once-over with the razor, I’m ready to go. Was it painful? A little – it feels like a rubber band being snapped repeatedly against your skin. Around my ankles, I definitely squirmed – though the sensation apparently lessens as the treatments go on. But truthfully, the smell of burning hair as the follicles are zapped is the most offensive part. Now, it depends on your hair type of course, and mine is ideal for laser: it’s dark, against a relatively light skintone. If your hair is lighter or your skin darker, there's a chance it won't be as successful - but all that will be talked through with you at your free consultation. And the damage? 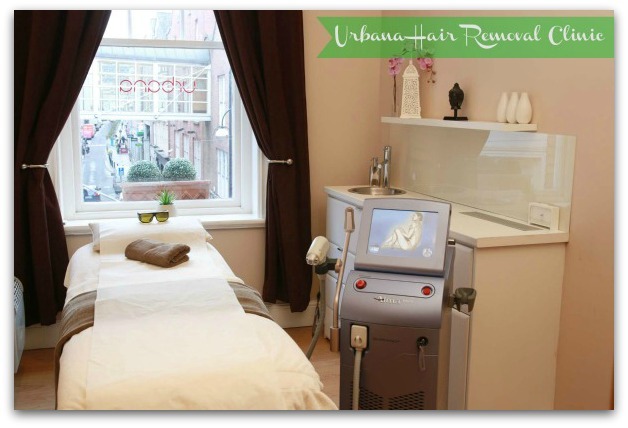 Reasonable, I think: laser hair removal at Urbana costs from €40 per session, with various discount deals on offer; there's also a loyalty card system in place so when you buy four sessions, your fifth is free of charge. If you have any questions about the process, leave them in the comments and the lovely team at Urbana will be more than happy to do a little Q&A session for you guys. I'll also be updating you on my experience along the way, as I continue with my sessions. So: laser hair removal: would you? Or maybe you already have? Would love to do this but unfortunately my red hair means I'm a less than ideal candidate. I'm keeping my fingers crossed for a miracle cream! €40 though, it'd be tempting to try for that price! 40 seems very reasonable. How many sessions does it take for legs. I know a girl that got her arm pits done one summer... wait until winter you can't use deodorant! I would love to do this on my legs! Wow only €40! That's brilliant and I would actually consider this. Are there any places down in Cork that people would recommend? I have dark hair against fair skin so it looks like I'd be a very good candidate for this. A question though, do you have to go in all hairy? Or does it work better if you have shaved before hand. I've been here before - you're right, the staff are so nice. I haven't had laser though, but I'd recommend their lycon waxing. I love the atmosphere Emma. It's so pretty. I've only tried waxing. I have coarse hair, and I'm afraid of laser removal (african american skin tends to scar). It looks lovely. Congratulations on your marriage. I'm your newest follower on GFC and bloglovin. In fact, I've shown lots of love (likes) on your wonderful bloglovin posts. Hope you'll do the same.